Microsoft has confirmed that when its Edge browser moves over to the Chromium rendering engine, which is used by its chief competitor Chrome, users will be able to install Google Chrome extensions. The extensions are small add-ons for Chrome that bring extra features, such as adblocking, VPN, password management and much more. Edge did have its own extensions, but the selection was very limited compared to Chrome’s huge – and constantly growing – collection. 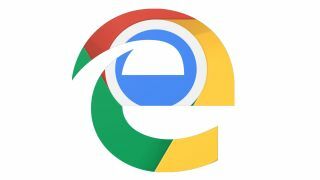 By supporting Chrome extensions in a future Chromium-based version of Edge, Microsoft will be addressing one of the biggest handicaps its web browser has when competing against Chrome. A vicious circle had emerged where, due to Chrome’s popularity, developers were concentrating on creating extensions for Chrome and neglecting Edge. That encouraged people to switch to Chrome, due to its additional functionality. A future version of Edge able to make use of Chrome extensions could encourage people to stick with the default web browser in Windows 10, and may even convince Chrome users to stick with Edge when they get a new PC, rather than immediately install the rival web browser. This is a good move for Microsoft as it brings Edge and Chrome closer together when it comes to feature parity. However, there is a danger that Edge will simply morph into a clone of Chrome, reducing the number of alternative browsers for people who do not want to use Google’s web browser.